In the 160th year after it was first launched, the USS Constellation must undergo an almost $2 million hull restoration. The job requires a new temporary structure to provide protection during the rebuilding process. Dr. Shrink said its shrink-wrap product was used, installed by Maryland-based Atlantic Shrink Wrap. The task was to create an enclosed structure from the middle of the vessel to completely surround the hull. Controlling the temperature of the work area and underside of the boat also was a priority. 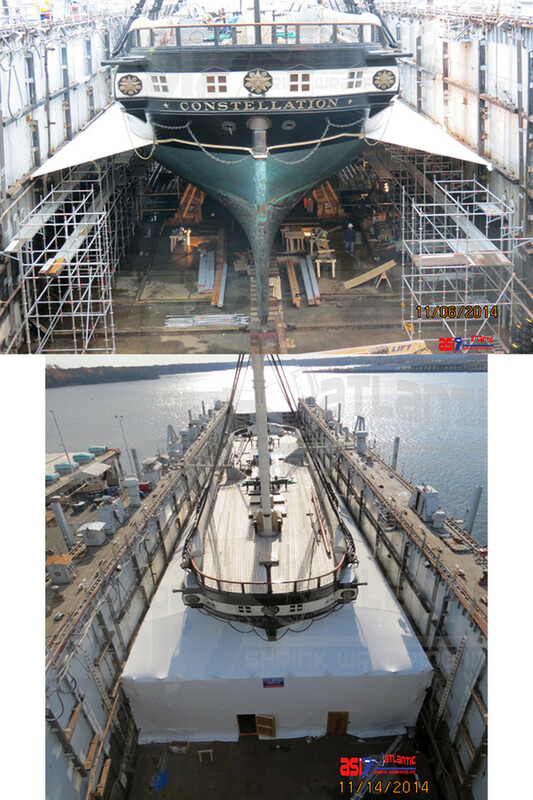 The project is under way at the Coast Guard yard in Baltimore, where the 205-foot ship is drydocked.